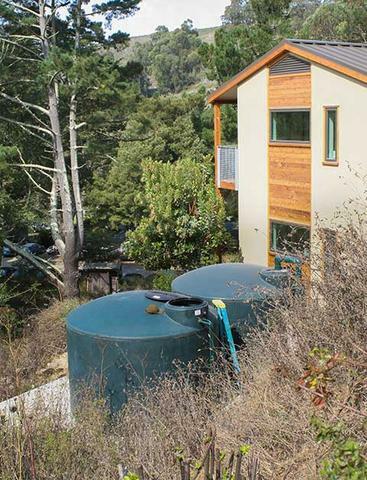 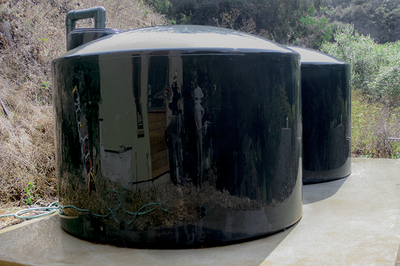 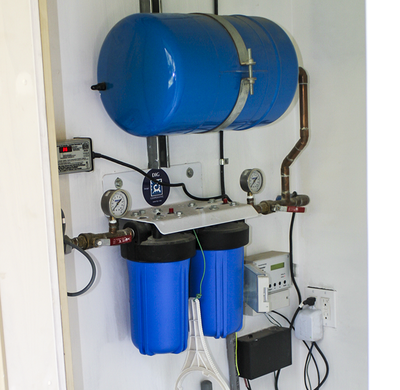 This green point rated project in Marin County integrates two 2500 gallon tanks, supplying enough rainwater to flush four toilets for most of the year. Stormwater overflowing from the tanks leads to an on-contour swale, which harvests rain before flowing to the local creek. 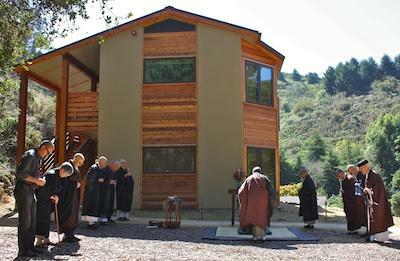 This multi-unit dwelling is certified as a passive solar energy house in the state of California. 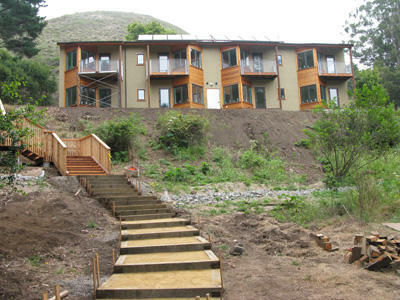 Passive housing design results in an energy consumption decrease of 90% over normal to-code buildings. 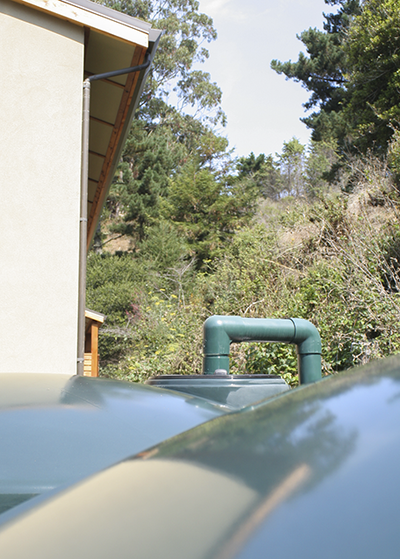 DIG Coop installed this system and worked in conjunction with Hyphae Design and Sawyer Construction.